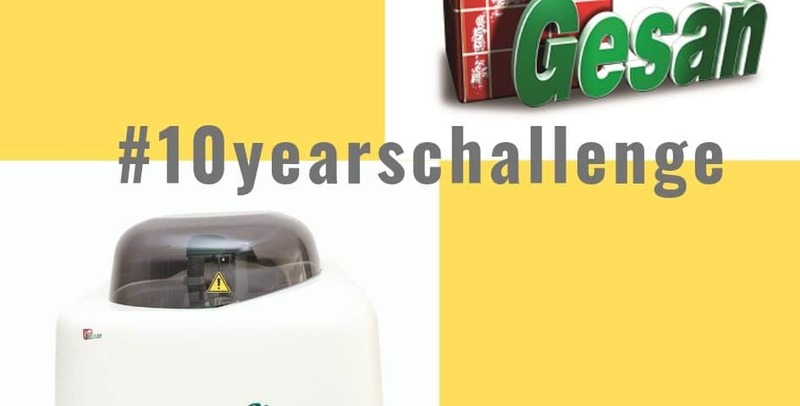 10 years of presence in Dubai concentrated in the photo for the #10yearschallenge of Gesan. 10 years have already passed since our first time in Dubai, since we arrived with our products at Arab Health, the most important trade fair in the entire Middle East. And we are still here, after 10 years, at Medlab, the international fair labeled Arab Health and targeted for professionals in the medical field. With us, every year, always updatings. From year to year, Gesan reagents and analyzers have constantly improved in order to offer the most innovative solutions to medical laboratories all over the world. The international fairs of Dubai are an important showcase for our company, and we always try to capture the specific needs of our potential customers, translating them into reagents and analyzers that better suite to their needs. And so, over the years, our analyzers have become increasingly smaller and more powerful, as our reagents more and more efficient. The new of this year, for example, is Piccolo Chem, the smallest analyzer in its category, able to guarantee the highest performance. Our Piccolo Chem has no rivals, and it is also available in the vet version. With the same enthusiasm as always, we hope to continue to bring our products and our instrument line to Dubai, to show quality products that carry the Made in Italy flag high even in the Middle East. In the meantime, we pause for a moment the time with this beautiful picture that sums up our first 10 years in Dubai. If you are curious to know more about our products, you will find us until February 7 at Hall Z4, stand C59, do not miss it!